leadership | Best practices in economic development from experienced leaders. It is a pleasure to serve you as the 2015 MEDA Board of Directors President. 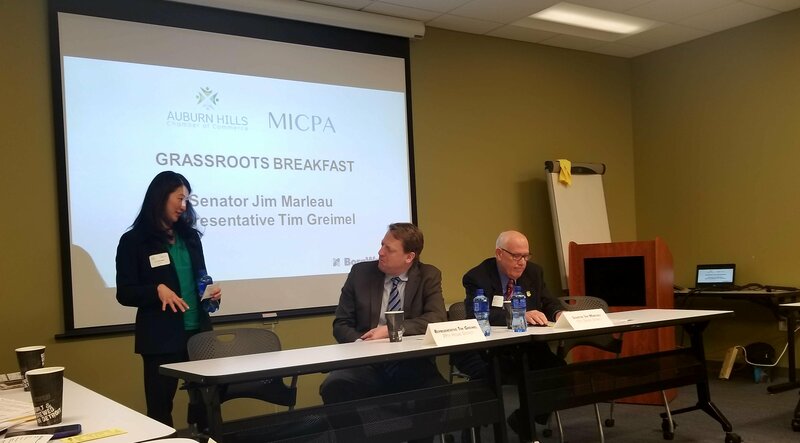 After many years of membership in MEDA and participation on the Board, it is an honor to represent my colleagues in economic development across the state. Thank you to our 2014 President, Ara Topouzian, for his leadership over the past year. MEDA has been strengthened by his commitment and dedication. Fortunately, Ara will continue as a member of the Board. The Board officers this year include Vice President Jennifer Owens, Treasurer Michelle Aniol, and Secretary Amy Clickner. Members at Large include Luke Bonner, and newly elected Stephanie Carroll, Monique Holliday-Bettie and Karl Dorshimer. Mark Morante continues to serve in an Ex Officio role. We have exceptional staff including Executive Director John Avery, Administrative Manager Cassandra Jorae, and Administrative Assistant Diana Gorvokovic. MEDA’s membership has remained strong the past several years, in spite of the slowed economy. This is evidence of the hard work of our committees and the value of a MEDA membership. I encourage you to invite others to join. The strength in our organization relies heavily on the strength of committee participation. An important part of MEDA’s value proposition is our 2015 program offerings which will combine informational content with the opportunity to network with your fellow ED professionals. According to Governor Snyder, workforce development is the next key area for further improving Michigan’s business climate. Specifically, more career tech training for manufacturing and skilled trades jobs. Expanding programs like the Michigan Advanced Technician Training program and the Advanced Manufacturing Partnership. Continuous improvement in all areas of economic development programming and more work with local partners and the business community. MEDA recognizes the importance of workforce supply and education/training programs. Our state continues to be recognized for our skilled workforce and outstanding educational institutions. However, there is always room for improvement. Your input and support will be needed as the Board works to identify opportunities to support the advancement of workforce availability and worker skill levels throughout the state. 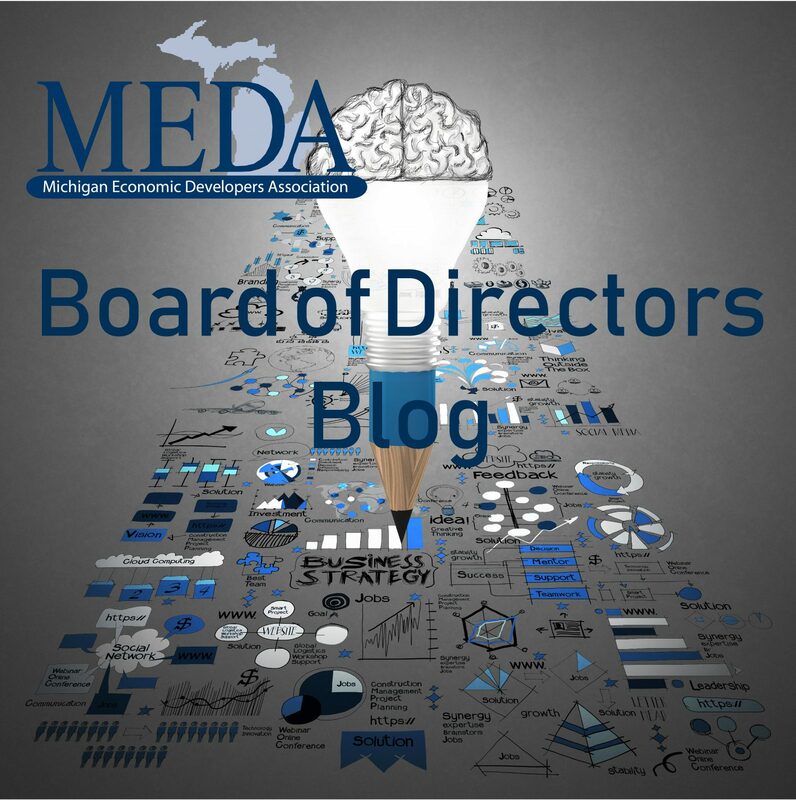 Other areas that MEDA will explore with programming are a direct result of what is happening in the state’s economy including additional growth in venture capital investments, more crowdfunding, higher levels of investment interest in Michigan as Detroit emerges from bankruptcy, manufacturers predicting another year of steady growth, but talent continuing to be a leading concern and continued work toward efficient regionalism. Your participation is critical to the success of this organization. Email meda@medaweb.org and join a committee today! Authored by: Kara L. Wood, Economic Development Director, City of Grand Rapids. Kara is MEDA’s 2015 Board President.